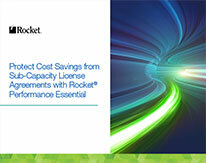 Radically reduce your batch runtime with Rocket Performance Essential®. Slash batch process time by up to 75%. How much will you save? Put your IBM mainframe to the test and see how much we can reduce the time needed to run your batch job. We’ll use our Application Performance Analyzer® (APA) to produce a diagnostic report detailing batch files with inefficiencies that Rocket Performance Essential can automatically optimize. Download our eBook or request your free diagnostic report today. The Rocket APA uses one month of SMF data records 14, 15, 30, and 64 as input. The examples shown are actual results reported to Rocket customers, looking at both VSAM and non-VSAM EXCPs. Preserve your sub-capacity license with automatic batch job optimization. The rapidly increasing amount of data companies are generating and collecting means an increasing burden for batch processing jobs across your organization. Rocket Performance Essential optimizes mainframe performance by radically reducing batch processing time without manual tuning or application rewrites. 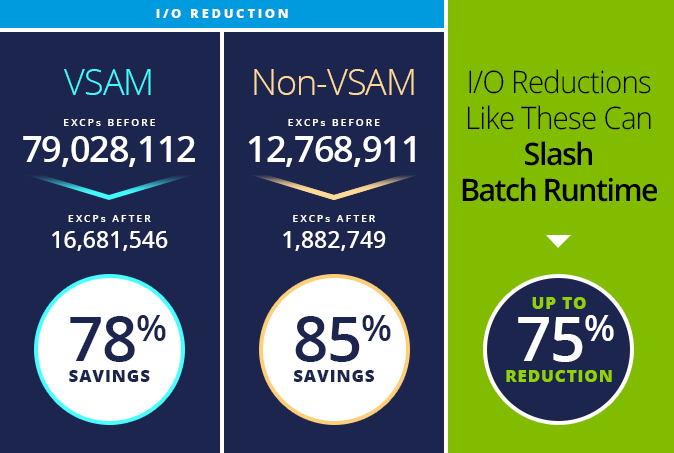 Through intelligent buffer management, Rocket Performance Essential eliminates bottlenecks and reduces I/Os by up to 90% and trims batch processing time by up to 75%, in as little as one hour. Learn how to reduce I/Os by up to 90%— download our free ebook. Find out how much time Rocket Performance Essential will save on your batch processing.